The blepharoplasty procedure more commonly known as an eyelid lift is one of the most popular cosmetic procedures in the country, and for good reason. With high rates of patient satisfaction, stunning results, and relatively short recovery times, more people are discovering the youth-restoring powers of the blepharoplasty. Thanks to its growing popularity and the availability of advanced technologies more cosmetic surgeons are using advanced cutting tools to achieve superior results. While scalpels are still being used, many professionals are finding that lasers are the preferred choice for performing a blepharoplasty. 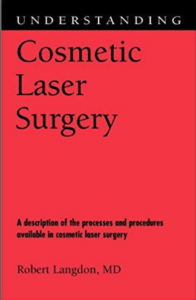 When it comes down to it, what’s better: a laser or scalpel for blepharoplasty? It’s not only the surgical tool that you should be concerned about it’s also the person wielding it. Both scalpels and lasers can produce extremely precise results, which is exactly what you need for a successful blepharoplasty. The eyelid lift procedure involves making precise incisions around the upper and lower lids, which gives the cosmetic surgeon direct access to the muscles and fat surrounding the eyes. The cosmetic surgeon will remove excess fat, muscle and skin. The end result is a bright-eyed, smooth, and alert appearance. One major advantage of the CO2 laser is that it coagulates (seals off) tiny blood vessels as it incises (cuts through) tissue. The result is far less bruising and swelling and a faster recovery compared to the traditional scalpel technique. No matter which tool your cosmetic surgeon wields, you’ll want to ensure that he or she is a board-certified professional with years of experience. 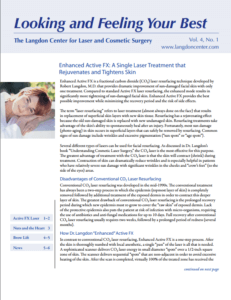 At The Langdon Center for Laser and Cosmetic Surgery serving the greater Guilford, Connecticut area board-certified cosmetic surgeon Dr. Robert Langdon specializes in innovative, cutting-edge laser technologies. Dr. Langdon is known throughout the greater Connecticut area as a laser expert meaning you’ll get the most precise and optimal results from your blepharoplasty procedure.